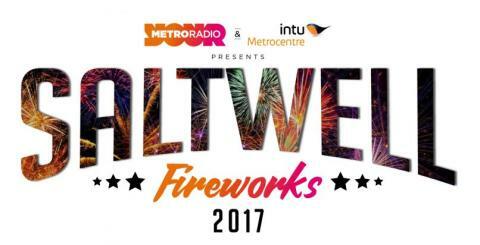 Going to the Saltwell Park Fireworks display on Saturday 4 November this year? Well, so are we with a special bus service from Gateshead Interchange as well as our Angel and Coaster services that stop outside the park entrance on Durham Road. You can catch our F1 bus from Stand D at Gateshead Interchange with buses running every few minutes from 4.40pm until 7pm with buses back from Saltwell Park running until 9.30pm. Fares are only £1 single for everyone, so save the hassle of parking near the site as parking is restricted. If you’re travelling from Chester-le-Street, Birtley, Low Fell or Newcastle our Angel 21 will be running up to every 10 minutes during the evening. Or, if you’re travelling from Low Fell, Newcastle, Wallsend, North Shields or Whitley Bay our Coaster 1 will be running every 30 minutes. If you're travelling on Angel or Coaster, download our app and buy our Family Day Ticket for just £10! The ticket covers up to two adults and three children under 16, with a minimum of one adult and one child required. Please note that no tickets are valid on our special F1 buses other than the £1 flat fare.